Drew began his real estate career in 2016 after receiving his license. His areas of expertise include the sale and acquisition of farming, recreational and timberland properties and recreational land development. 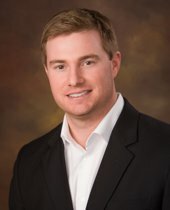 Drew received a BA in biology in 2008 from the University of Mississippi, a BS in Pharmaceutical Sciences in 2010, and a Doctor of Pharmacy in 2013 from the University of Mississippi School of Pharmacy. Drew is married to his beautiful wife Neely and they have a son named Bo and daughter Molly. They reside in Meridian, Ms, where Drew was born and raised and attends First Presbyterian. Drew is an avid college football fan and he grew up hunting and fishing on his family's land in Clarke County, where he still hunts today.